Namesake - The name Ogden was carried over from the Ogden College which was established by Robert W. Ogden. He was born on April 1, 1815 and died November 10, 1973. Ogden was a wealthy farmer as well as a wealthy businessman. He "bequeathed the bulk of his estate for the establishment of an endowed school in Bowling Green to provide free education to young men of Warren County." 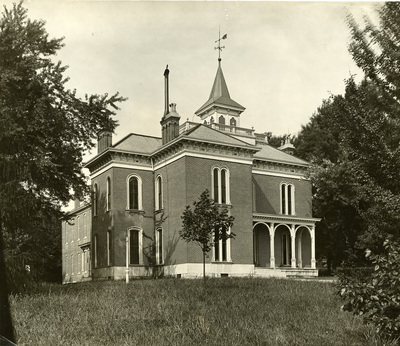 Ogden College was opened on September 3, 1877. The main building was the Ogden Hall. The college offered college work and preparatory work. The largest enrollment was 162 students in 1918. History - Ogden Hall was located on the "Ogden College" portion of campus. The building was originally built to be a residence; however, it was never occupied. Later, the hall was used for offices by the Extension and Field Services and for classrooms for the Department of Government. The building had high ceilings, tall windows, and winding staircases.